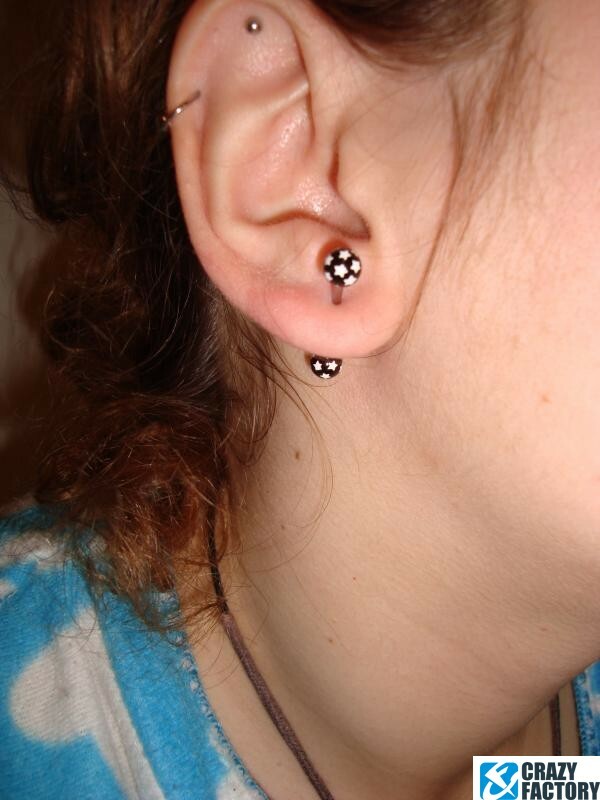 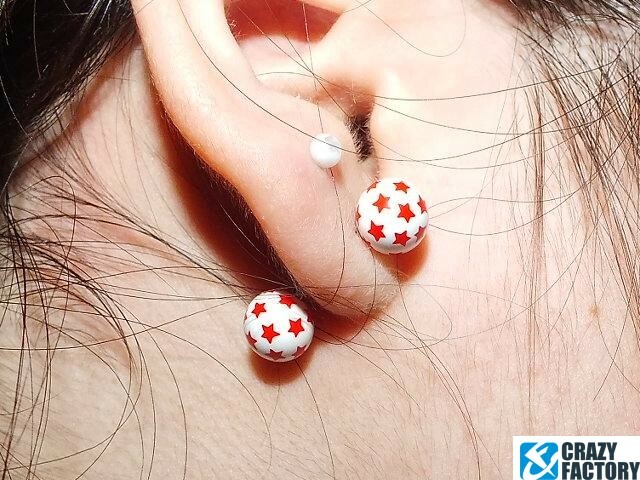 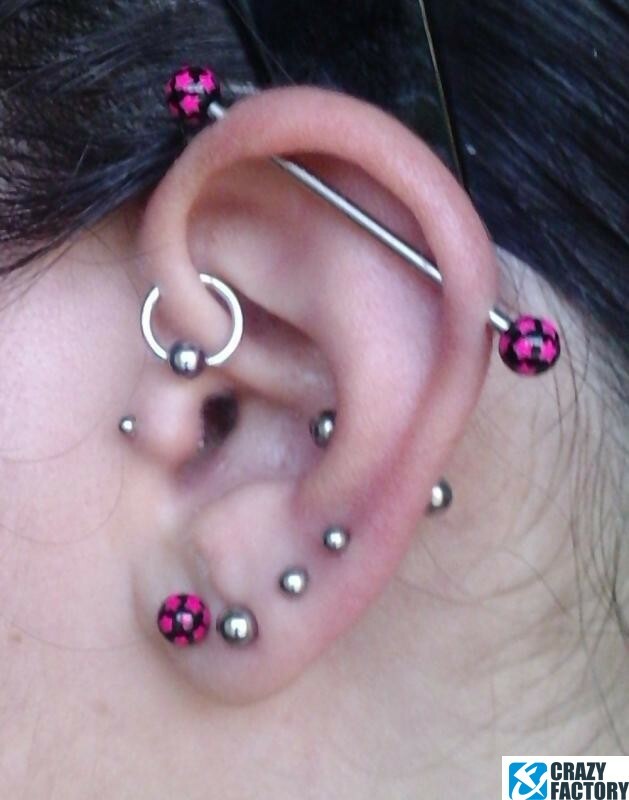 Steel barbell with threaded balls featuring tiny stars all over. 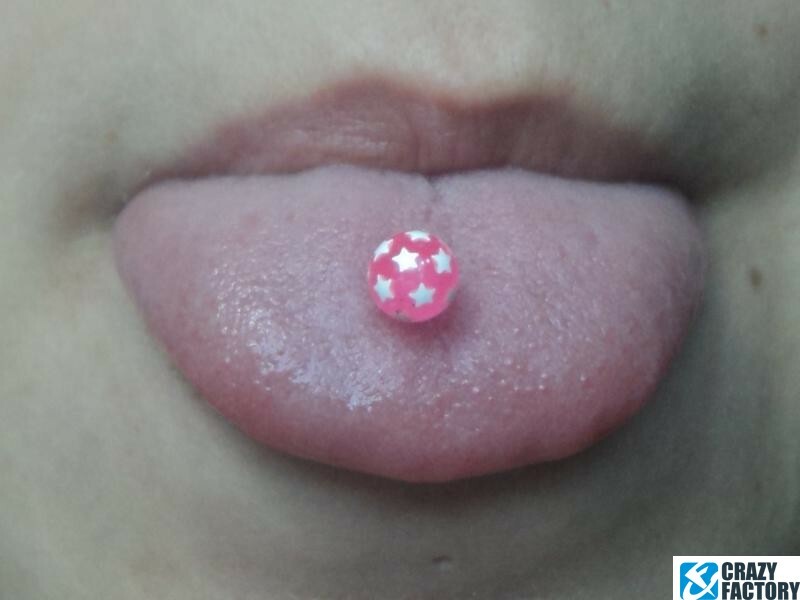 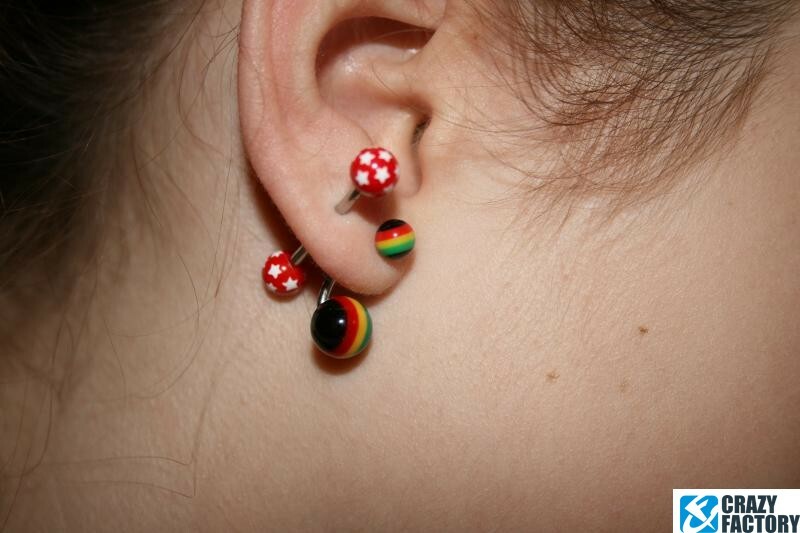 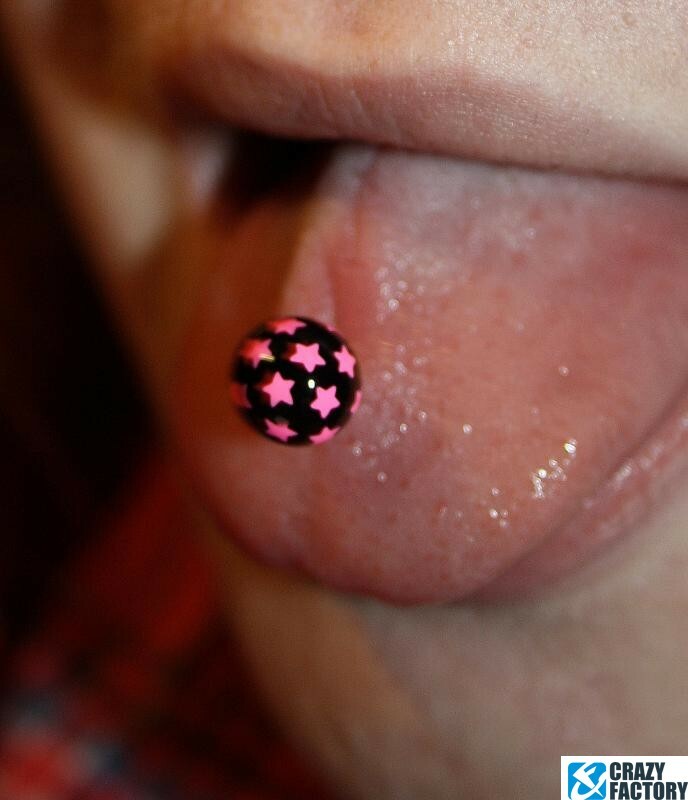 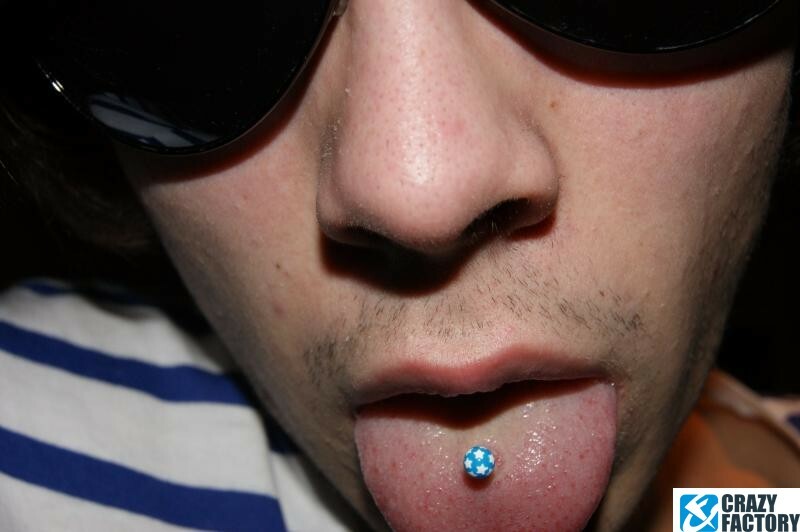 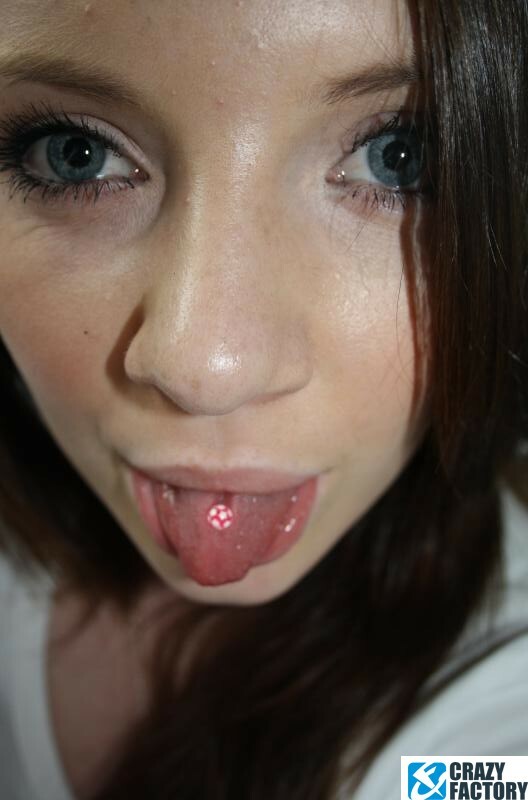 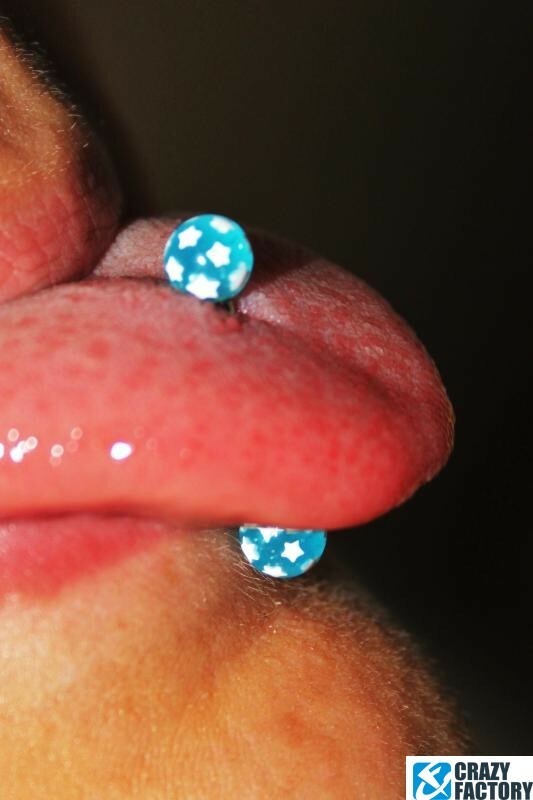 A funky style for your tongue or ear piercings. 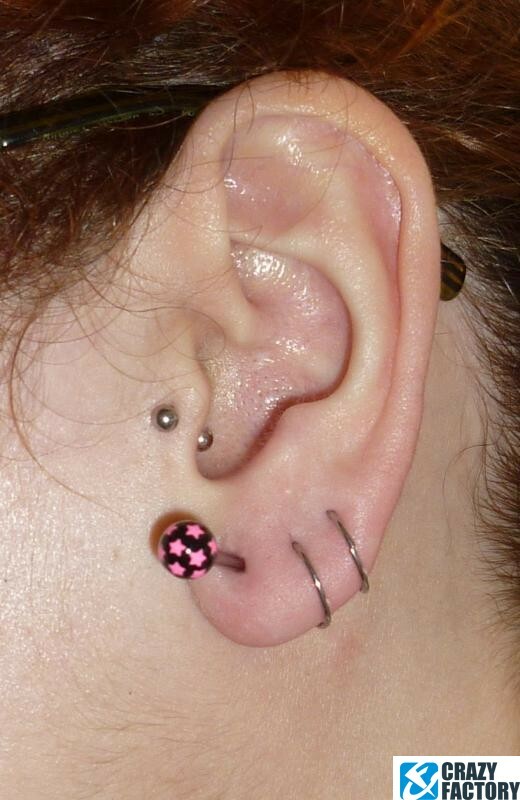 On stock and ready to ship in different lengths and colors.